Tankless Toilets: Right for Your Residential Home? 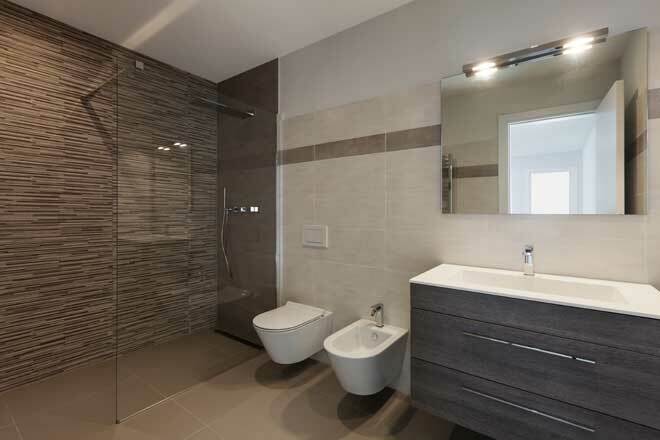 Tankless toilets offer more than just aesthetic appeal. Their streamlined forms and relatively small sizes mean they save space in your bathroom and their advanced flushing method helps save water, too. These toilets aren’t a good fit for every home, though. 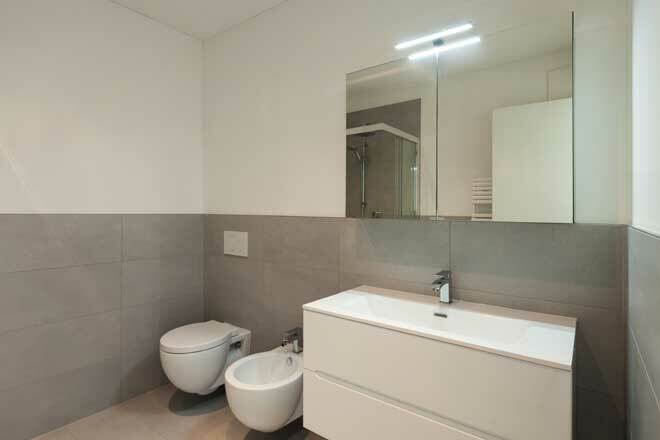 They work differently from conventional toilets, so if you’re thinking about installing one, make sure you understand the requirements before you decide. The tankless toilet’s design isn’t just for looks. It’s a direct result of the way the toilet operates. In a conventional tank toilet, the tank sits above the bowl to allow gravity to draw down the water in the tank for use in flushing the toilet. Afterwards, the tank re-fills with water for the next flush. A tankless toilet doesn’t need a tank because it doesn’t need to store water. Instead, it’s hooked up to the building’s plumbing system and flushes in one of two ways: either water enters the bowl at a high pressure directly from the plumbing pipes or an electric pump in the toilet bowl provides additional pressure for the flush. In most homes, the plumbing system lacks the pressure needed to flush a toilet, so residential tankless toilets are usually equipped with a pump. The biggest advantage of a tankless toilet is the freedom it gives you in getting the look you want for your bathroom. The precision flushing mechanism some models offer helps you save water, too. Tankless toilets free from the clunky, old-fashioned tank that takes up wall and floor space, giving you more space to design as you want. Their compact size makes them ideal for smaller bathrooms. 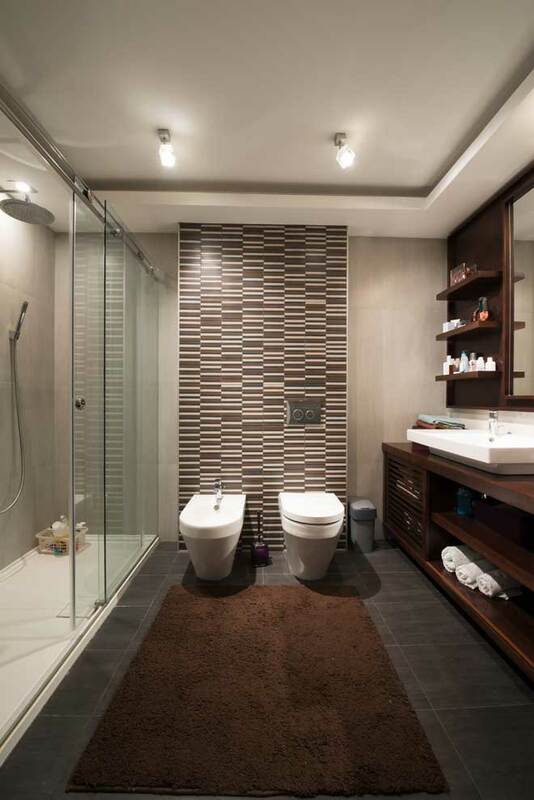 Designed in sleek, contemporary forms, these toilets can instantly update the look of your bathroom. You can install a tankless toilet on the floor or mount it on the wall to free up floor space and give your bathroom a more open, airy atmosphere. Mounting the toilet on the wall also allows you to adjust the height to one you find comfortable. A tankless toilet can even make your bathroom more convenient to use. Because the bowl refills so quickly, the toilet can be used again almost immediately. That helps shorten the line at the bathroom door that often forms when you have a large family, or you’re hosting a big get-together. Currently manufactured toilets, whether tankless or conventional, are required by law to use no more than 1.6 gallons of water per flush (gpf). Some more advanced tankless models, however, let you choose how many gallons are used per flush, giving you a water-saving option few conventional toilets can match. If you currently use an older toilet, upgrading to a tankless model will definitely reduce your water consumption. Conventional toilets manufactured in the 1980s use 3.5 gpf, and those made earlier use as much as 7 gpf, so any modern toilet is a major improvement. By choosing a tankless toilet, you’ll know you’re getting a modern, water-saving design. Better yet, there’s no risk of a tank leak developing and allowing the toilet to run continuously and waste water. The visual appeal and convenient size of these toilets don’t come cheap. Tankless models cost more to buy and to install than conventional models. To complicate matters, they require large pipes and high water pressure that not all residential buildings are supplied with. Tankless toilets typically come with higher purchase prices than conventional toilets, starting at around $900 and rising into the thousands. Considering a tankless toilet can help you cut your water bill, though, it’s still a smart long-term investment, particularly if you have a large family and your bathroom sees a lot of use. Tankless toilets require high water pressure to operate. That’s why they’re most often found in large commercial and public buildings, such as shopping centers or airports, which can support the large pipes needed for such high water pressure. In many residential buildings, the plumbing can’t handle this kind of pressure. Install one of these toilets in a home with standard residential water supply lines, and the pressure from flushing could leave you with damaged pipes and a toilet that no longer works. Before you settle on installing a tankless toilet, check that your home’s plumbing meets the requirements. If it doesn’t, it’s still possible to retrofit the toilet by upgrading the plumbing, but this will greatly increase the cost of installation. If you’re building a new home, plan to install large supply lines that will work with a tankless toilet. 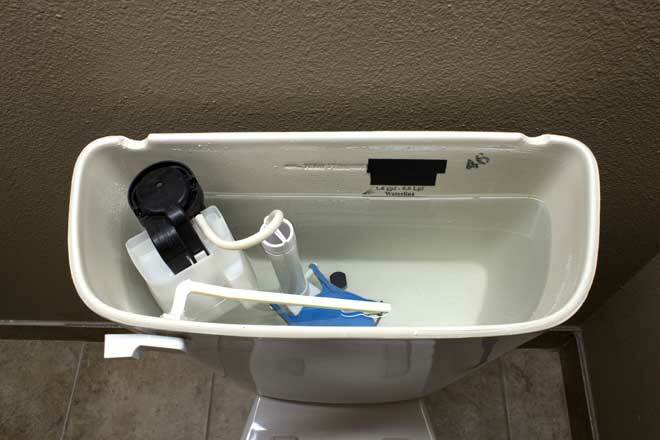 While installing a conventional toilet is a fairly straight-forward job for a seasoned DIY-er, installing a tankless toilet is more complex and should be left to a professional. Wall-mounted toilets are especially difficult to install, requiring the plumber to open up the wall to access the pipes. Repairing a tankless toilet is also a job for a professional. Both these factors further raise the cost of choosing a tankless model. On the plus side, tankless toilets are less likely to develop repair issues compared to conventional models. Because most tankless toilets designed for residential use rely on an electric pump to flush, they won’t work during a power outage. If there’s a chance of a storm or other issue knocking out your power for days, a tankless toilet might not be the best choice. Naturally, if your home is on a well that uses an electric pump, a conventional toilet will also fail to work when the power’s out, so your choice of toilet won’t make any difference. With more and more tankless toilet models including electric pumps, tankless toilets are increasingly practical for the average home. They save space, conserve water, and bring a polished, modern touch to your bathroom. On the other hand, they require plumbing conditions that not all buildings can provide, and purchase, installation and repairs can all get costly. If you’re in an old building or you’re on a tight budget, you’re most likely better off sticking with a conventional toilet.